QUANTITY THE PSA COMMEMORATIVE POSTER IS NOW ON SALE. CLICK FOR LARGER VIEW. 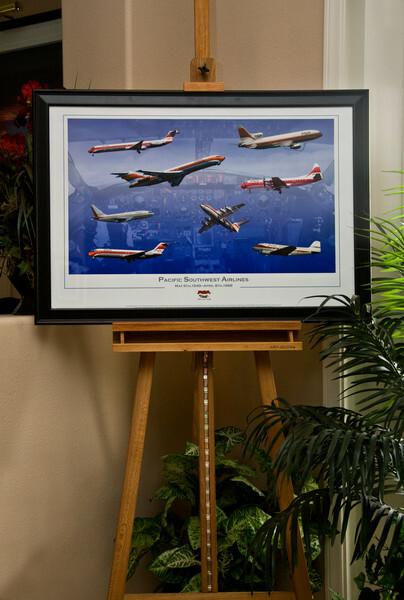 DESIGNED BY CAPTAIN PETER KUNASZ, THIS BEAUTIFUL IMAGE MEASURES 24X36 INCHES, AND CAN BE CONSIDERED A GENUINE "FINE ART" PRINT. COST: ONLY $15.00 PER POSTER. PLUS $12.95 SHIPPING (US SHIPPING ONLY) AND HANDLING FOR ANY QUANTITY. ORDER MORE THAN ONE FOR BEST VALUE. MAKES A PERFECT GIFT! SAFELY PAY THRU PAYPAL WITH YOUR CREDIT CARD. NO PAYPAL ACCOUNT REQUIRED. CHECKS ARE ALSO ACCEPTED. 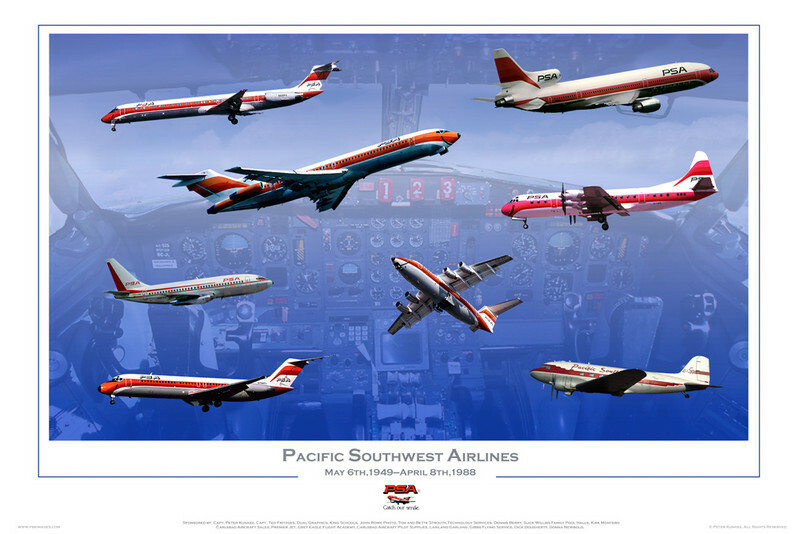 MAKE PAYABLE TO "PSA POSTER"
POSTER DESCRIPTION: SIZE 24X36, WILL FIT INTO A STANDARD FRAME. NO MATTING NECESSARY. THE COLORS ARE VIBRANT AND THERE IS A THREE DIMENSIONAL FEEL TO THE IMAGE. CHARLES T. SAYS: "My wife had purchased for me your Commemorative PSA Poster, and it is absolutely beautiful! Thank you so much for creating that. PLEASE NOTE that if you give a P.O. Box as a shipping address, your package will come by USPS. IF YOU HAVE A SHIPPING ADDRESS DIFFERENT THAN YOUR CREDIT CARD BILLING ADDRESS, please edit the shipping address in the checkout process and notify your credit card company. We do NOT verify addresses with credit card companies. CHARITIES SUPPORTED: FISHER HOUSE--OPERATION HOME FRONT--UNITED STATES WAR DOGS ASSOC. OVER $3,500 DONATED SO FAR. 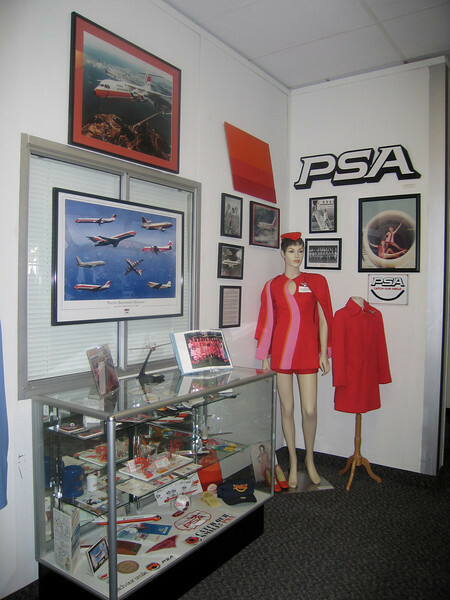 AS DISPLAYED IN THE PSA EXHIBIT AT THE SAN DIEGO AIR AND SPACE MUSEUM. ON DISPLAY AT JET SOURCE FBO AT PALOMAR AIRPORT. SHOWN: FBO MANAGER, MIKE TODD.